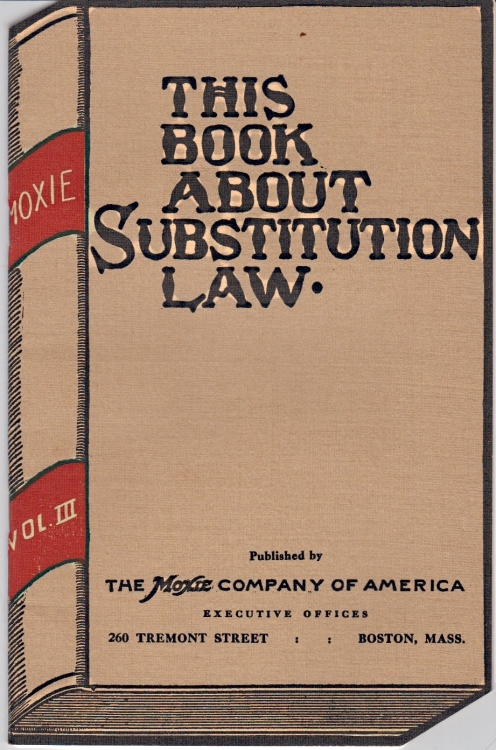 Moxie Company: This Book About Substitution Law. (1965) Moxie Company: This Book About Substitution Law. - Condition: Excellent This booklet was developed by the Moxie Company to show many examples of court cases. In these cases Moxie was suing other soda companies that were too similar to the Moxie Soda and stores that would refill Moxie bottles with another soda.. 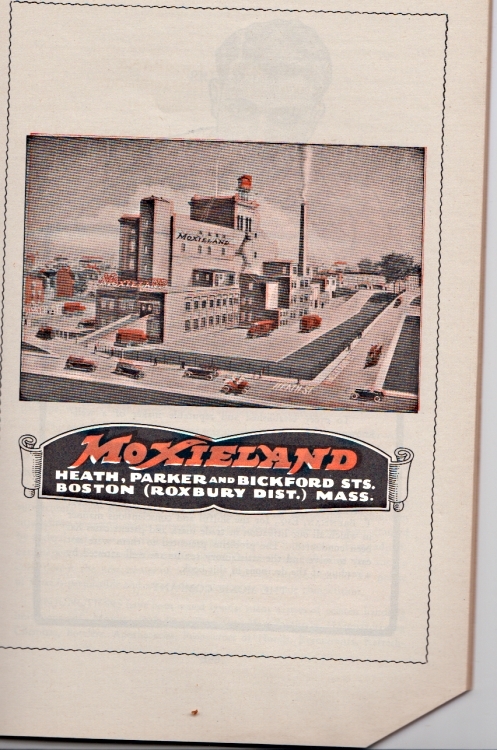 It is a wonderful historic look back on Moxie and other soda companies. Many of the lawsuits took place between 1905 and 1910. The book has 62 pages, with many pictures and photos. 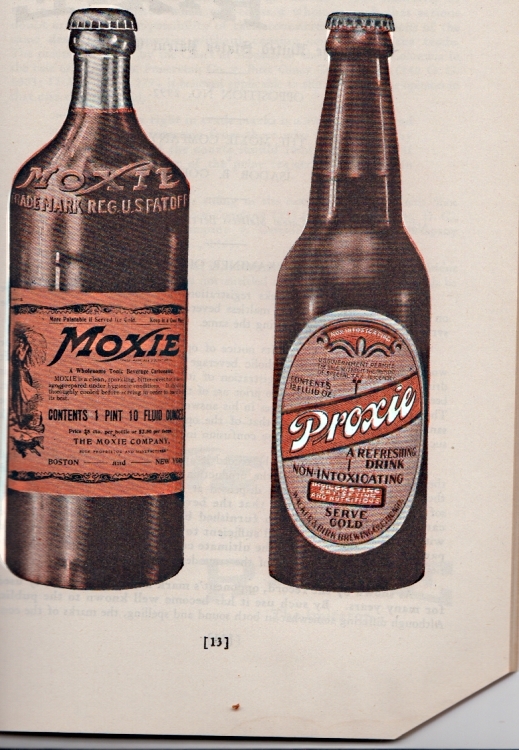 Between 1885 and 1889, Moxie Nerve Food was invented and patented. It was the first bottled carbonated drink in America. It was developed as a cure all to health complaints. Basically the drink was only popular in the NE. In 1905 the company had a fleet of Ramblers and Stanley Steamers to use for distribution. In the 1920's they out sold Coca Cola. In 1923: Calvin Coolidge celebrated his inauguration by drinking a Moxie Cola.